This guide is a work in progress. Eventually it will show exactly where every Ancient Tome is located in Pokemon Zeta/Omicron. Feel free to help me locate all of them! 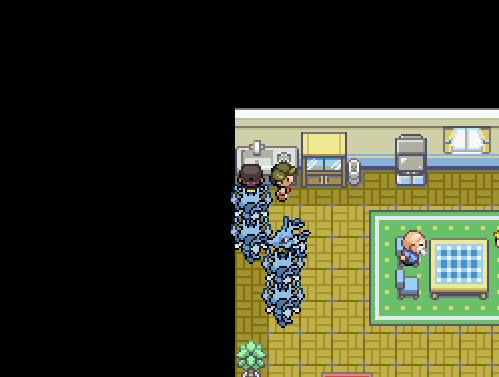 In Ladoga Town, enter the house above the Pokecenter. Here you will meet a rare book collector who needs your help to find twelve books scattered across the region. These books are called Ancient Tomes and they can be found inside furniture in normal houses. One book is hidden in each gym town. In the bottom-right corner of Fianga City there is a green-roofed house. Inside this house there is a painting on the back wall that contains the first Ancient Tome! In the Southern-most part of Onega Town there is a blue-roofed house with a bald man standing out front. Upon entering this house a message will pop up saying, "This house is oddly empty... It gives off a strange chill...". In the potted plant against the right wall lies the second Ancient Tome! The Western-most house of Superior City is where the IV Changer lives. Enter his house and look at the potted plant along the left wall, this is where you can find Tome number three! Find the Southern-most, red-roofed house in Agassiz Town. Enter it and check out the television against the back wall. Hidden inside is the fourth Tome! In Kivu Town, find the red-roofed house directly above the Rangers Club. Once inside, search the bookshelf and you will find the fifth Ancient Tome! 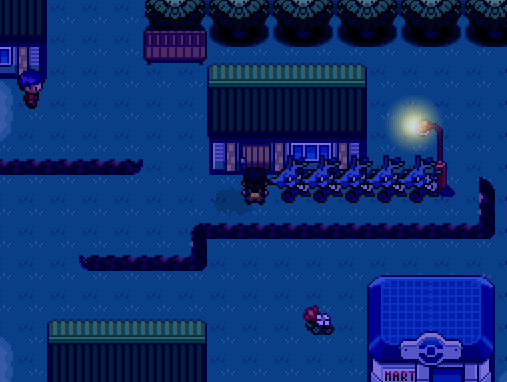 In Treader Town, go into the house located directly above the Pokemart. Talk to the woman in the upper left corner of the house and she will move, allowing you to check the sink. Here you will find the sixth Ancient Tome! Nice, Thanks guys! Now I can't remember for the life of me where the guy is who gives the reward for finding them... Can someone help me find him please? Edit: Nevermind I found him.. I feel dumb now. I believe he's in Treader Town. Great guide! I would just consider adding in a picture of where the guy who rewards you for them is. Else-wise, though, good job! Thanks man Good thinking, I will add a picture of the reward guy soon. So, if one is found in each gym town, then there are 4 left. One in each of the sigil hall towns? Or are halls in some of the gym towns? There's one in Blackfist city where the spinner's club is near the center of the town. The tome is in the 'window'.